Are machine shop projects you’re responsibility? If machine shop projects are your responsibility, you'd be quite interested in a management or machine information system. The system itself has appeal for both managers and operators, making both of their jobs easier. <!- BODY TEXT PREFACE --> Once you have decided to undertake a machine information system installation you would want to get this machine shop project right wouldn't you? A good information system installation in a manufacturing environment will make a very useful machine shop tool. Starting with the types of machine that would lend themselves to being hooked into such an information system. Well, the scope of this is really quite a broad. Most manufacturing firms could use a machine information system quite successfully with their machines. This would be virtually any mechanical beast that performs a repetitive task or function on a product or production line. Electronic assembly, manufacturing, box making, paper trade firms, all would be suitable. 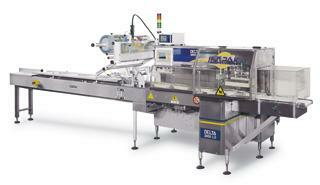 It could be one machine such as a corrugator line or a full production shop. In fact most of the machinery will have sensors used in its operational control, these signals can be tapped off and used to count product, speed, waste etc. From this data, efficiency kind of calculations can be performed within the PLC (what's a plc) or PC program. All good machine information system installations would be able to take the raw data from several sensors and calculate other data, such as efficiency, waste, machine losses etc. During my working life travels so far, I have come across many different types of production lines. These have ranged from ‘run of the mill’ types to ‘very specialised’ indeed. These would all make good and viable machine shop projects for a system installation. But, all of the machines had the one thing in common of course; they were all repeating a task, time after time. Generally an information system would not even be considered unless there were more than about five machines. Also these would have to be running at a reasonable production rate of above say 1000+ units an hour. Equipment that is definitely not suitable would be slow running or manually operated. Grinders and polishers would be in this class, although working on possibly many units at once the amount of time taken between batches of units (30 minutes or so) would make it pointless to report on. As nothing would change for this amount of time, there would not be much actual advantage in having a system. With the exception that it would be keeping track of the amount produced. A fast rate of production is not essential for a system to be viable. But if it is, I can say with confidence it would more worthwhile. The ideal situation for making the best use of a M.I.S. installation in machine shop projects installation would be at minimum five or more fast running (100+ per hour) machines with automatic operation. At maximum, well I don't think there is a maximum situation where a system would not be of good use. But having said that, any more than around one hundred machines would make it quite difficult to display the information wanted on a PC screen to be of any use. I have never come across anywhere near this number in operation in one factory or zone. Not that there isn't such a collection in production. In that situation the production line would probably have been designed with an information system built into the control system anyway. "What about LED sign displays?" Now one thing I've not covered in detail (yet) is display stands, display boards, LED sign (Light Emitting Diode) for production figures or morale boosting. This sort of big LED sign for production figures is often just looked upon as a frilly optional edition to machine information systems. "After all, it's only going display all the same information data you have on the host displaying computer, so what's the point!" I disagree with that outlook, I have built systems where a large production LED sign hanging from the ceiling or on the overlooking machine shop wall was the first thing the people concerned were looking for. In fact one of the systems had the LED sign as the only viewing point for all the machine information data. Both viewed a LED sign as more important than to have a screen on the managers desk in an office. This was the starting point for both their machine shop projects and a very necessary part of a machine information system. There were two reasons for their way of thinking, the first was to impress potential customers with the sites capacity for production. A LED sign with continually updating production figures was wanted as a sales point. The second was to get some healthy competition going between the shift work teams with a weekly prize for the best shift. Now this was not just on the highest production but also on waste and machine setup times, all of these figures were on the display for each shift. I though this was a very good way of encouraging higher production, totally at the other end of the scale from the brow-beating method. Also very successfull as well as I have been told on many occassions. As far as machine shop projects go there is alot more scope than first meets the eye with a machine information system, all you have to do is nail it down. A happy workfoce is an efficient one as they say. Hopefully this insight into your machine/management information systems as one of your machine shop projects has been useful. Have a look around this site for useful information to make your machine shop projects the best. Go from Machine Shop Projects to Specification page. Have a look at the Technical page. Return from Machine Shop Projects to Home.